Obtain answers to important questions regarding electric garage doors and use the information to your own benefit. When you are properly educated on the components and operation of these systems, you will be able to use them in an even safer and more effective manner and provide proper care whenever required. Go through these questions and answers about garage doors! You never know what you can learn today. How much is needed for garage door repair? The amount needed for garage door repair is dependent on the type of problem faced. It's difficult to specify a price range, but obviously minor problems would require less. Major repairs such as the replacement of huge parts would make you spend more. What should be done if there is no manual? In the absence of garage door manuals, you can simply contact one of our technicians in Perris and consult them for a solution to the problem. You can also go back to where you bought the door and buy a new manual. What happens when the drive gear is stripped? This part is normally found in the electric garage door opener. If it is stripped then you will not see any movement when you press the button even if the motor is running in the background. The door may move but it will be a rough motion. Do not operate until resolved. How do I know if my garage door can be repaired or if it needs to be replaced? The best way to check if a garage door can still be repaired or needs a replacement is to call professional and trained expert in your area. Depending on the problem, a garage door may need servicing, repair or a replacement. You can contact our specialists so we can check the issue with your door and determine if it needs service or replacement. 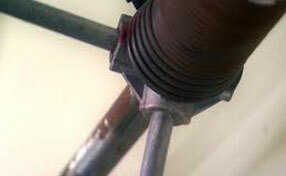 What should I do when the springs start squeaking? 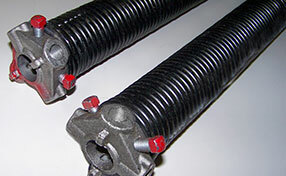 Our experts at Garage Door Repair Perris say that the squeaking of the springs is normal, especially after some time of usage. Do not worry too much about your garage doors. You can just spray on lubricant to any parts that feel tight such as your door brackets. Another way to go about would be by getting a broken spring replacement. What can I do to protect the garage door panels? They must be painted right after the installation of the door if they are made from steel or wood. Annual repainting is required as well. The addition of weather seals is also considered to be mandatory. They must be applied to the bottom, top, and sides of the door.